Birding Is Fun! : What is your best bird? I have had the great fortune of meeting some new birders recently, and one of the most asked questions I got asked is "What is your best bird?" This was a hard question for me to answer right off the top of my head. After thinking about the question for a while, a few good birding memories popped into mind. I will share some of those memories here. Thinking back, the best birding memory would have to be when I found a first state record Sooty Tern for Ohio. Here is a little background on the sighting. During July of 2005, the remnants of Hurricane Dennis passed right over the Ohio valley. While seeing reports on the listservs of sea birds riding on the storm in other states, I decided to post guard at a local reservoir with hopes of finding a stray. I got lucky! 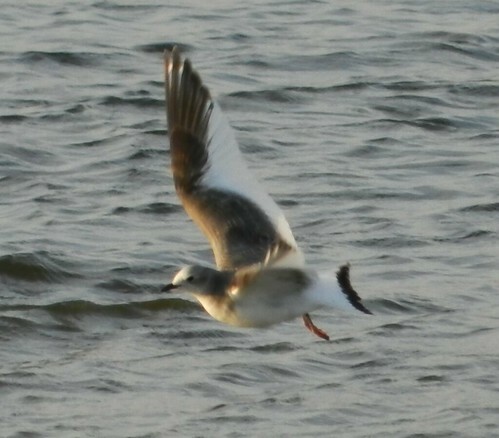 At the time, I didn't have a camera capable of capturing an image, however other birders did. You can see images of the bird on the Ohio Ornithological Society's web page here. Caution: You are about to see some vintage photos of birds! In February of 2005, I tagged along on a trip to Northern Minnesota with another birder from Cincinnati to witness the northern owl invasion that year. We also visited the famous Sax-zim Bog. Saw a lot of life birds including, American Three-toed Woodpecker, Black-backed Woodpecker, Northern Shrikes, etc. Got to see some thirty-something Great Gray Owls if I can remember correctly. Here is a photo of my lifer Great Gray. 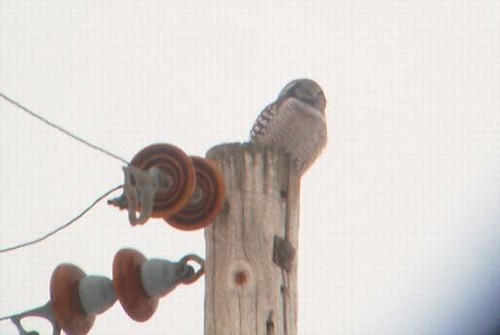 Also got my lifer Northern Hawk-owl. Saw 8 birds. 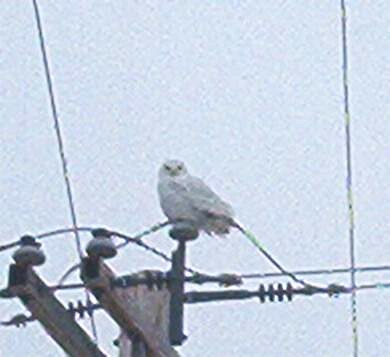 And another lifer, Snowy Owl. It was a quick shot and view, as it was near a federal prison in Duluth, MN. The guards were becoming interested in us, so we left. 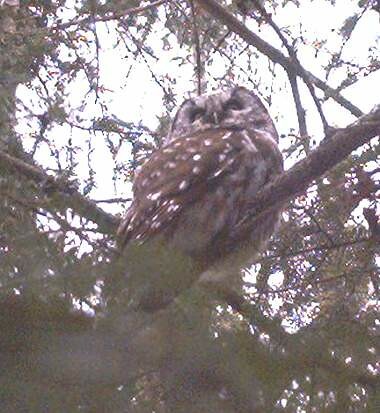 And the highlight of the trip was a chance encounter. 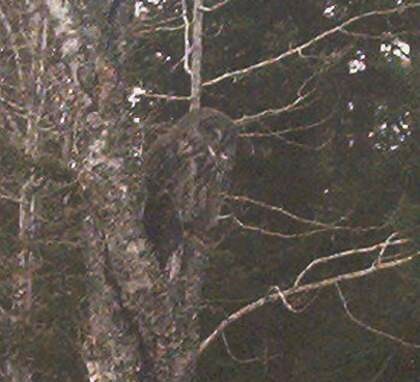 While heading back from Duluth, I thought I had spotted a Boreal Owl sitting in a tree on the side of the highway. We were traveling at about 60MPH. The guy driving found it hard to believe it was possible, but it would have been a life bird for the both of us. So, he decided to turn around and go back to see if I could relocate it. I got lucky. It was still there. Here is a photo I obtained of the bird. That trip was probably the coolest (both literally and figuratively) of my birding adventures. More recently, the best bird I would have to say was a Sabine's Gull (life bird) that showed up at the local reservoir last month. I got to meet many out of town birders and had the pleasure of helping them find a lifer. That's a lot of owls! Nice post Donald. Got me to thinking about my "best bird", it was a White-tailed Kite, I only got cruddy photos of it because of lightning conditions but it was the first time in 98 years that a White-tailed Kite had been seen in that county of Florida. It was pretty amazing. Admittedly, owls are a weak part of my list. My best bird would have to be a toss-up between three birds: Tufted Flycatcher, Blue Mockingbird, and Fan-tailed Warbler. @Donald - Those are definitely awe-inspiring birds. I have a hard time pinning down my best birds. Finding a Rusty Blackbird in the Boise foothills was cool because it was a regional rarity, but seeing the Elegant Trogon in Arizona was a magical experience.